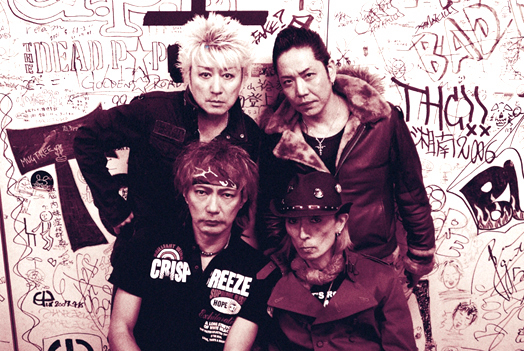 ODD-BOWZ was formed in Nagasaki prefecture on April first in 1984. The band name means “Vagabond” in their dialect. In 1989, they had their major label debut with an album “DITRY MARKET”. Their performance is 4 hour long with over 40 songs and they have been doing it for more than 10 years. Their vitality and passion for live performance is respected by other musicians. 2015 April marks their 31st anniversary.